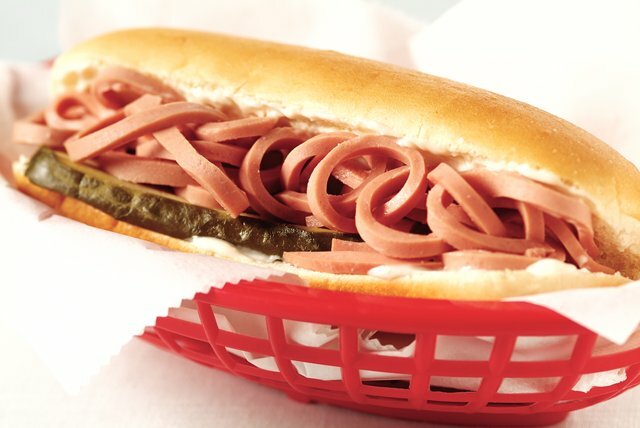 Bologna, creamy dressing and dill slices are always a hit in a hot dog bun. But for entertainment purposes, these squiggles can't be beat! Cut bologna slice into very thin strips. Spread bun with dressing. Fill with bologna and pickle.